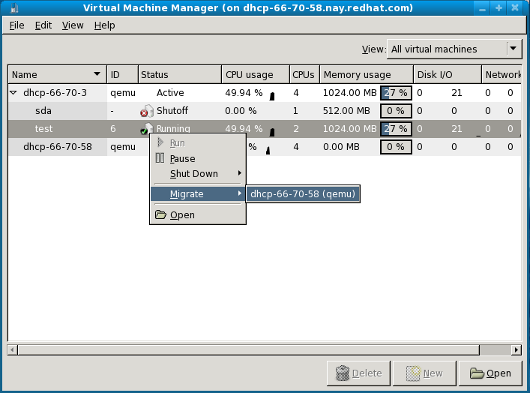 This section covers migrating KVM based guests with virt-manager. Connect to the source and target hosts. On the File menu, click Add Connection, the Add Connection window appears. Connection: Select the connection type. 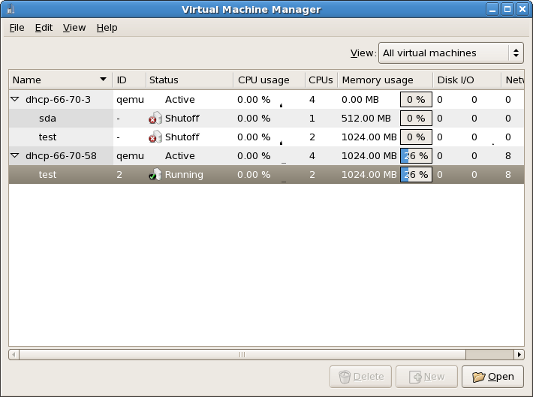 The Virtual Machine Manager displays a list of connected hosts. 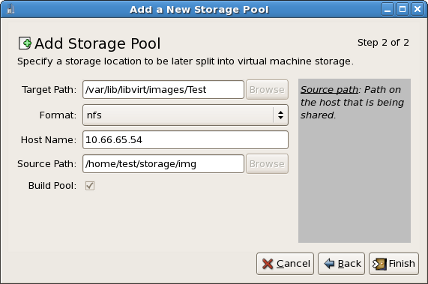 Add a storage pool with the same NFS to the source and target hosts. On the Edit menu, click Host Details, the Host Details window appears. Add a new storage pool. In the lower left corner of the window, click the + button. 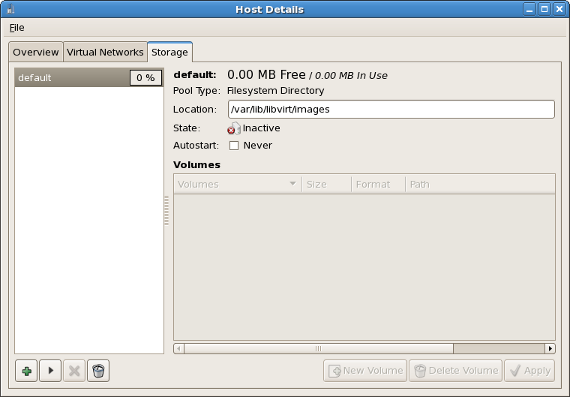 The Add a New Storage Pool window appears. 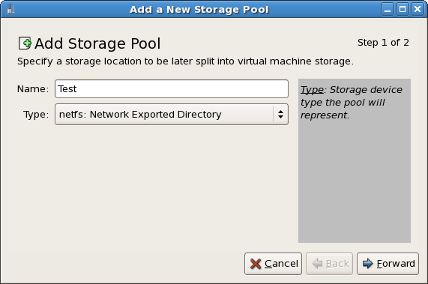 Name: Enter the name of the storage pool. Type: Select netfs: Network Exported Directory. Format: Select the storage type. This must be NFS or iSCSI for live migrations. Host Name: Enter the IP address or fully-qualified domain name of the storage server. 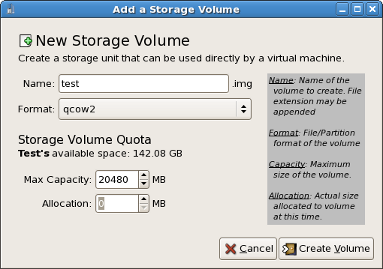 Create a new volume in the shared storage pool, click New Volume. Enter the details, then click Create Volume. 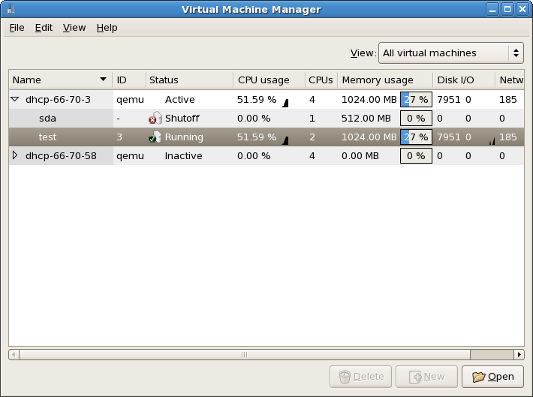 Create a virtual machine with the new volume, then run the virtual machine. 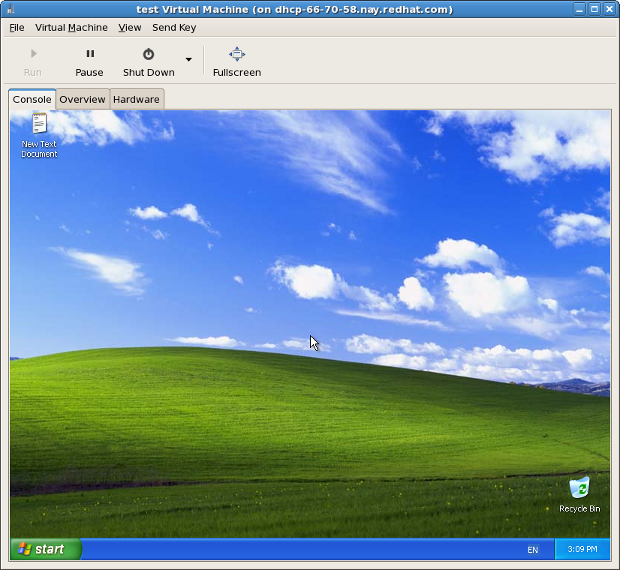 The Virtual Machine window appears. In the Virtual Machine Manager window, right-click on the virtual machine, select Migrate, then click the migration location. Click Yes to confirm migration. 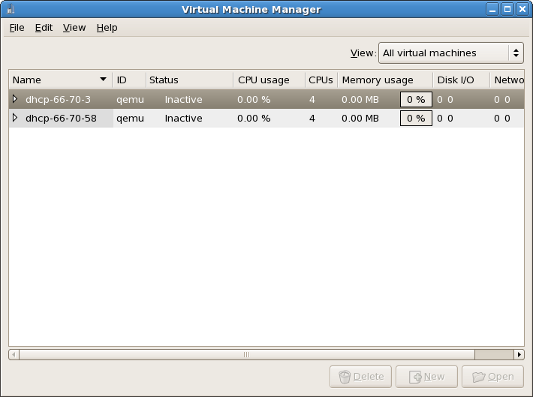 The Virtual Machine Manager displays the virtual machine in its new location. The VNC connection displays the remote host's address in its title bar.